As we embark on the first baseball season in 68 years without Vin Scully behind the mic, thank goodness we still have this classic comedy bit from George Carlin. I have a writerly purpose in sharing it with you today. Carlin’s piece demonstrates how, by choosing just the right words, a writer creates a mood and a sophisticated set of images for the reader. In this case it’s actually 2 moods and 2 sets of images. We see, for example, that football is played on a rigidly structured gridiron, and baseball is played on an elegant diamond. Football comes across as weighty, even sinister (down) while baseball is light and airy (up). Football delivers an abrupt kick and slaps us with a warning; baseball provides relief and freedom to stretch. While I’d never discount Carlin’s deft delivery, I think it’s his pitch-perfect choice of words that makes this piece the classic that it is. With your writerly sensitivities thus enriched, sit back and enjoy the work of a master comic and master wordsmith. Baseball is played on a diamond, in a park. The baseball park! This entry was posted in Baseball, Technical communication and tagged baseball, football, George Carlin, words, writing on April 4, 2017 by Larry Kunz. Who do you pick for the project? You joined the team a few months ago as its manager. Now a challenging new project is on the horizon, and you have to decide which team member gets the assignment. Who do you pick? Roy has been part of the team for years. The previous manager told you that he struggled in the past. But since you’ve been here, it’s as if a light went on: Roy’s work has been top-notch. Is Roy past his struggles and up to a challenging new assignment? Bill goes through his workday with a swagger. He’ll tell you that he can handle anything you throw at him. And so far he has, although you haven’t asked him to do anything that was particularly hard. Is Bill just a braggart, or do you trust him to walk the talk? Melanie’s work has always been good but not outstanding. A few months ago, when Melanie’s project encountered some unexpected bumps — not of her making — she surmounted the problems and delivered a great outcome. Was it a fluke, or is Melanie ready to rise to the occasion again? Connie is the youngest member of the team, eager to learn and willing to do things in new ways. She’s already suggested some innovations that have paid off. Can Connie’s energy and new ideas overcome her lack of experience? My take: don’t rely too much on the past, especially on things you’ve heard but haven’t observed firsthand. 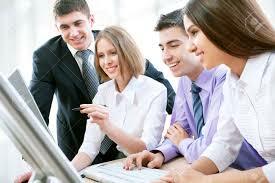 Instead, align your people’s current abilities with current and future needs. The people in this story are fictitious, but I didn’t just make them up. They represent the personalities of the four teams that remain in this year’s major-league baseball playoffs: the Royals, Blue Jays, Mets, and Cubs, respectively. When you watch baseball, or any sport, you learn that players and teams change and grow. As a manager you should acknowledge that growth: judge your people on who they are today rather than basing your expectations on who they used to be. So….Who gets assigned to the new project? Why would you pick that person? Who would I assign to the project? Ask me after the World Series. This entry was posted in Baseball, Leadership, Professionalism and tagged baseball, challenging, manager, people, playoffs, potential on October 16, 2015 by Larry Kunz. I’m passing time in Terminal C at Newark Airport, and way across the concourse a baseball game is on TV. From this distance the screen is tiny — in fact I can see only about two-thirds of it — and I can’t hear anything. 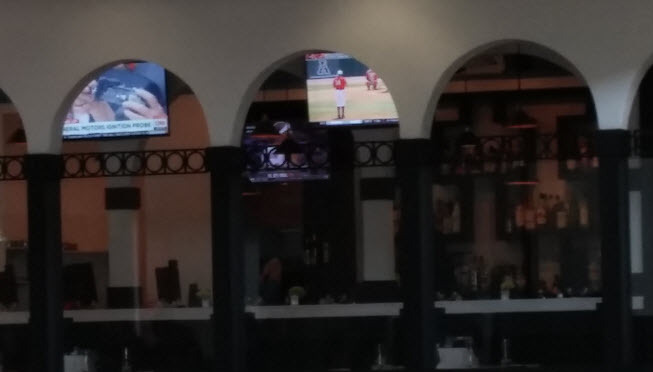 There, in the middle arch, is my baseball game. Yet I can enjoy the game, simply because it’s baseball — a game I’ve watched since I was a kid. Even though I don’t know the players or the score, I have plenty of context for this game I’m eavesdropping on. Similarly, one of the best things we can do as technical writers is to supply our readers with information that fits the context in which they’re reading. Peering at the tiny TV screen, I recognize the words on a player’s uniform: East Carolina. I heard on last night’s local news that East Carolina would play Houston today for the championship of a conference whose name I don’t remember. Sure enough, the other team’s uniforms are red. Must be Houston. East Carolina’s pitcher is a lanky lefthander with a nice, smooth motion. I watch him freeze a batter with a good breaking pitch — not because I can see the ball, but because I see the batter’s reaction. Now the batter is headed back to the dugout walking the same dejected walk of every batter who strikes out, from Little League to the World Series. Years of watching baseball have supplied me with context. It’s the same with the people who read our technical content. When the content fits their context, they can make sense even out of information that’s new and unfamiliar. But information that doesn’t fit their context isn’t even information. It’s just data, with no meaning at all. How can we help our readers fit information into context? Use familiar terms. If the reader knows something by a certain name, use that name. This is no time to break out your thesaurus. If the reader is accustomed to the metric system, for heaven’s sake use metric measurements. Use diagrams and illustrations that are consistent with each other in appearance and content. If possible, use diagrams and illustrations that look like ones the reader is already familiar with. Compare new concepts to things the reader knows. John McPhee, about whom I wrote recently, is a master of this. As I finish writing this article, dear reader, I realize that it needs to fit into your context. You might not care about baseball, or about my ruminations on the game. So I go back and rewrite the introduction, so that right away you’ll see what the article is really about. How’d I do? What else can we do to fit content to the context in which our readers consume it? This entry was posted in Baseball, Technical communication and tagged baseball, context, Technical writing on May 25, 2015 by Larry Kunz. He’s smart and gifted. Yet he’s best known for his oddball aphorisms. He was one of the best baseball players in history. Yet people who know nothing about baseball, think they know all about him. His is one of the most remarkable personal brands I know of. I like Yogi for a lot of reasons. First, we share a given name. Lawrence Berra got the “Yogi” nickname early in life when a baseball teammate, watching him sit cross-legged waiting for his turn to play, thought he resembled a Hindu yogi. I bet you thought he was named after the Yogi Bear cartoon character. It’s actually the other way around — a testament to how popular Yogi was during his playing career. Second, I see something of myself in him. In school I was known as a brainy kid. To fit in with the more popular kids I “dumbed it down,” intentionally using poor diction or choosing the wrong word. After awhile I discovered that not only wasn’t I popular, I was proving myself untrustworthy by trying to be something I wasn’t. 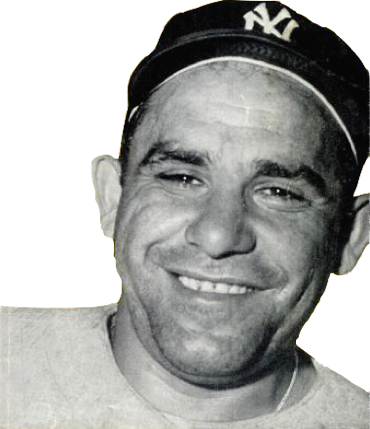 This entry was posted in Baseball, Professionalism and tagged baseball, image, personal brand, Yogi Berra on May 12, 2015 by Larry Kunz. Doug Glanville, the baseball player turned author, described what it was like to play against the men who were recently elected to baseball’s Hall of Fame. 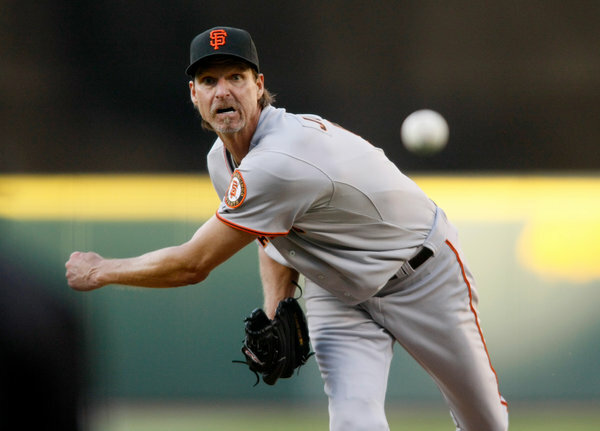 According to Glanville, playing against those great players — in particular, pitcher Randy Johnson — made him into a better player. This entry was posted in Baseball, Professionalism, Technical communication and tagged baseball, challenge, Doug Glanville, greatness, inspire, judge, Randy Johnson, Society for Technical Communication, Technical communication on January 21, 2015 by Larry Kunz.